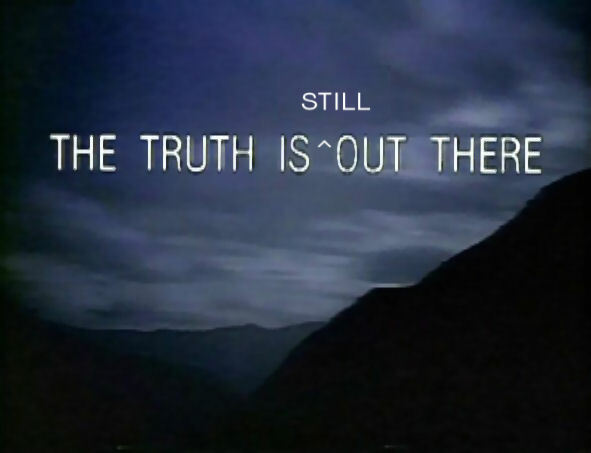 Welcome to The Truth is Still Out There, a fic challenge site. Write a fic to fit one of the several dozen suggested titles on the page linked above. Borrow the plot of an existing book or movie and give it an X-Files twist. Include a summer meal or event and some element of the paranormal. What if after months of searching for Mulder, Scully woke up one morning to find him curled up in bed next to her, sound asleep? * These challenges are not by invitation, so anyone may write a fic(s) for any challenge they'd like to. * You must write 1013 words for 1013 challenges. No other challenges have a required length/word count, so write as long or short a fic as you wish. * Unlike the challenge page here (which all require child characters), you may write fics of any genre/subject/rating you desire and use characters of your choice. All requirements for each challenge will be clearly stated on the challenge page. * please submit stories in text or MS Word format. Don't worry about formatting characters per line because it's unnecessary.